and four books for children. Anita Nair has also written two plays and the screenplay for the movie adaptation for her novel Lessons In forgetting which was a part in Indian Panaroma at IFFI 2012 and won the film award in 2013. Among other awards , she was given Central Sahitya Akademi Award for contribution to children's literature in English. Her books have been translated into over thirty languages around the world. "The story of a woman's search for strength and independence Meet Akhilandeshwari, Akhila for short: forty-five and single, an income tax clerk and a woman who has never been allowed to live her own life—always the daughter, the sister, the aunt, the provider. 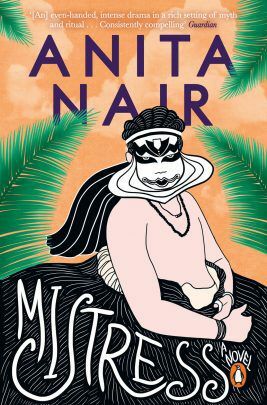 Until the day she gets herself a one-way ticket to the seaside town of Kanyakumari, gloriously alone for the first time in her life and determined to break free of all that her conservative Tamil brahmin life has bound her to. 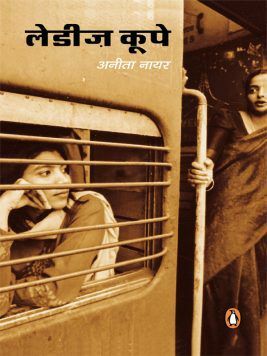 In the intimate atmosphere of the ladies coupe which she shares with five other women, Akhila gets to know her fellow travellers: Janaki, pampered wife and confused mother; Margaret Shanti, a chemistry teacher married to the poetry of elements and an insensitive tyrant too self-absorbed to recognize her needs; Prabha Devi, the perfect daughter and wife, transformed for life by a glimpse of a swimming pool; fourteen-year-old Sheela, with her ability to perceive what others cannot; and Marikolanthu, whose innocence was destroyed by one night of lust. As she listens to the women's stories, Akhila is drawn into the most private moments of their lives, seeking in them a solution to the question that has been with her all her life: Can a woman stay single and be happy, or does a woman need a man to feel complete? Note: This book is in the Hindi language and has been made available for the Kindle, Kindle Fire HD, Kindle Paperwhite, iPhone and iPad, and for iOS, Windows Phone and Android devices." Christopher, a young travel writer, arrives at a riverside resort in Kerala to meet Koman, a famous kathakali dancer. Immediately he is sucked into a world of masks and repressed emotions. Koman is instantly drawn to the enigmatic young man with his incessant questions about the past-but so is his niece Radha. Excluded from this triangle is Shyam, Radha's husband, who can only watch helplessly as she embraces Chris with a passion that he has never been able to draw from her. As the drama unfolds, the nuances and contradictions of the relationships being made-and unmade-come alive in this searing novel of art and adultery. Find out how the world was created, why the sun and the moon never meet each other though they live in the same sky, how clouds appeared to save mankind from the sun's scorching rays and why living creatures shed tears when they are in pain. 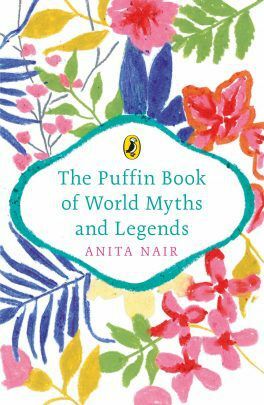 Retold by bestselling author Anita Nair, these magical stories from all over the world come alive with a freshness and exuberance that is sure to delight and captivate readers of all ages. 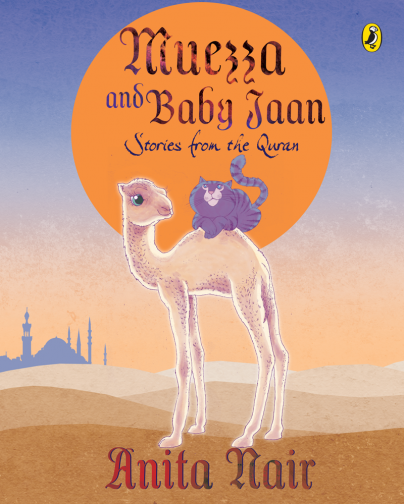 "An incongruent pair and their illuminating friendship Join Baby Jaan as she listens to Muezza’s mesmerizing tales, and soak in the wonder of rare, enlightening nuggets of Islamic lore. A djinn in the form of a baby camel and Prophet’s favourite cat come together in their shared exploits and a mutual education. As their chance meeting and tender bond is delicately explored, we are offered a fascinating array of teachings from the Quran that is sure to captivate children of all ages. Savour some enthralling gems about Nuh’s ark, God breathing life into the first man and woman, Iblis the djinn-turned-angel, the gift of free will, the ninety-nine names of God, the blessed she-camel, the mighty King Sulaiman and much, much more. Charmingly whimsical and breathtakingly illustrated, Muezza and Baby Jaan is a read like no other. " 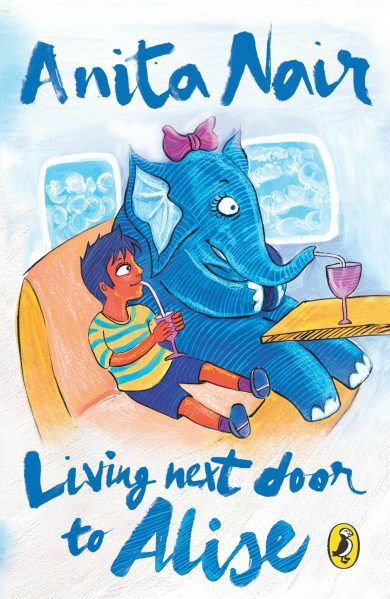 "Life will never be the same for Siddharth when he starts living next door to Alise Nine-year-old Siddharth is the despair of his parents. He does not want to run around or climb trees, and is terrified of ants. Then one day, he finally makes a friend—the fast-talking; quick-thinking, ultra-intelligent baby elephant, Alise. Together the two friends set out on a series of exploits. But the friends don’t stop at just having fun. The Bearded Bandit has spread terror among the elephants in the forest and someone has to stop him. " 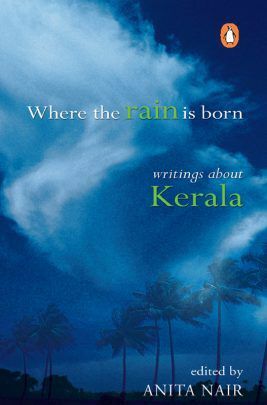 A combination of essays, short stories, poems and extracts from published works in both English and Malayalam, this anthology affords a tantalizing glimpse into the rich and varied layers of experience that Kerala has to offer.